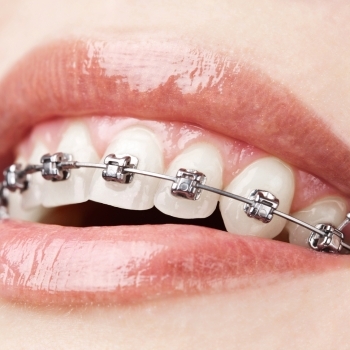 Braces can create beautiful, broad smiles for people of all ages. Dr. McLaughlin has been highly trained in neuromuscular orthodontics and functional philosophies of orthodontics. That means he plans for more than just a pretty smile when the braces come off. The arches are developed and widened to make room for all of the permanent teeth. This virtually eliminates the need for extractions. The end result is a big, beautiful and healthy smile. Our children and adults deserve to have this type of smile as well as healthy jaw joints. Many people suffer from jaw pain (TMD) or related problems. This can often be helped with proper development of the jaws. Many people also have narrow jaws, deep overbites and a lower jaw that is pushed back too far. Nobody wants to have to deal with this type of pain every day. Dr. McLaughlin and his team are very passionate about helping you with your pain. Often, braces can be a big part of this. Most facial development occurs before the age of 12. So, it’s important to get started as early as possible to get ideal results. Dr. McLaughlin has completed hundreds of hours of continuing education in facial development, orthodontics and TMJ disorders. Most importantly, he wants to help.